The SafeTower is designed by XSPlatforms to eliminate occupational hazards. 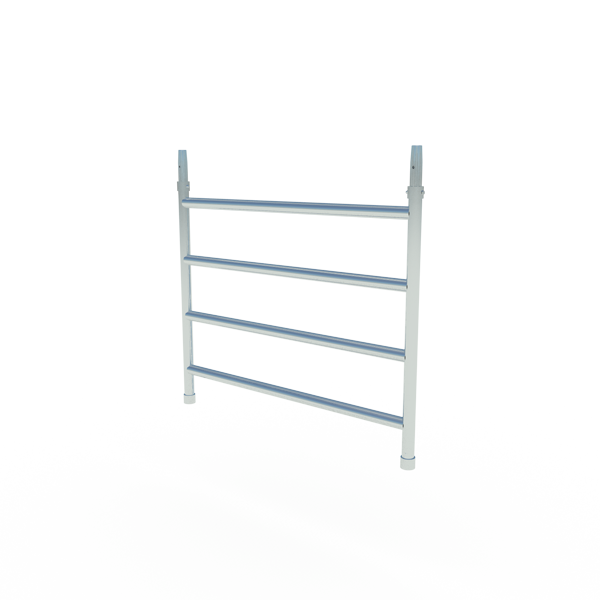 The patented Advanced Guardrail can be installed from a lower platform, to provide protection for the next level of the scaffold. This means that a personal fall arrest system is not necessary when working with the SafeTower. Ideal for both indoor and outdoor use, the SafeTower is the safest and most user-friendly mobile scaffold tower on the market today. More information about the SafeTower? The platforms are robust, easy to stack, lightweight and equipped with low-maintenance, non-slip decking. They have special handles for easy handling, and are available with a trap door for easy access from a lower level. 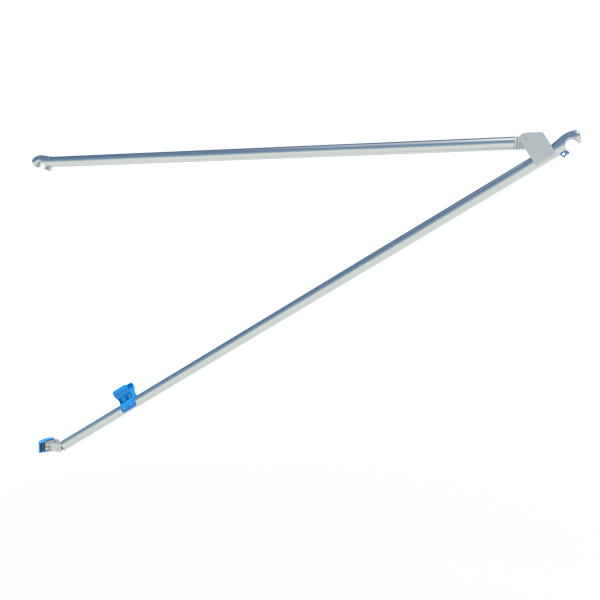 The Advanced Guardrail combines a toprail and a diagonal brace in one hinging part, allowing workers to install a horizontal brace from a lower level. This way, the next level of the scaffold tower has guardrails in place before the platform is placed. 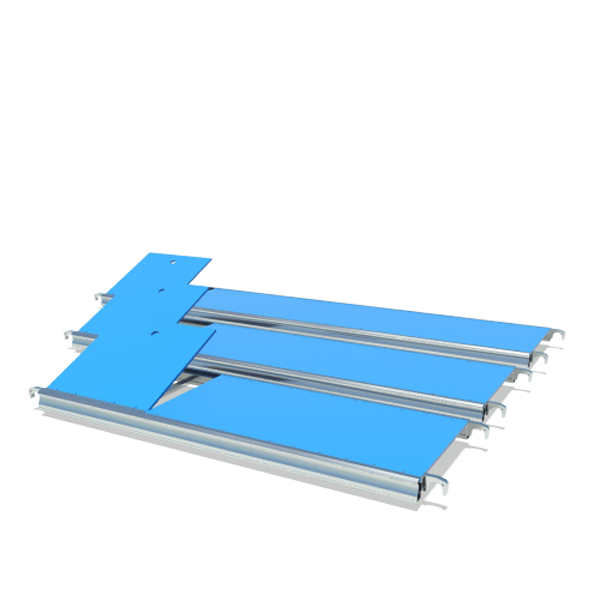 For the SafeTower, all four toeboards needed to secure a working level are combined in a single, foldable component. This high-grade aluminum component can be mounted in three easy steps and prevents materials from falling off the SafeTower. We have designed the Stair Frame Top to be added to the top of the SafeTower. 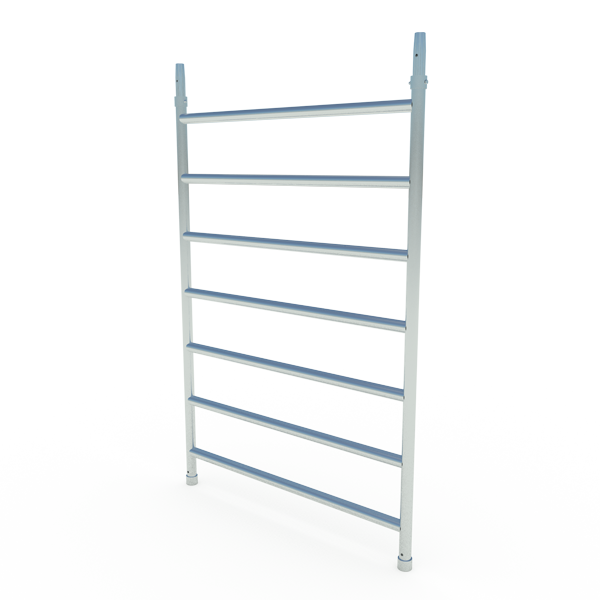 It has the same non-slip ladder rungs as the Stair Frame, but it has only half the height. 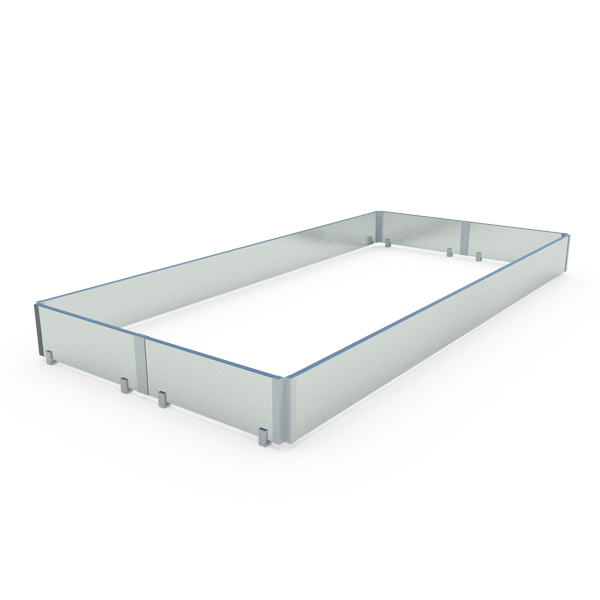 This component eliminates the need for a full-height stair frame when only a little extra height is needed. The vertical Stair Frames of the SafeTower are equipped with flat, non-slip ladder rungs. Combined with platforms with trap doors, users can safely climb the inside of the SafeTower. 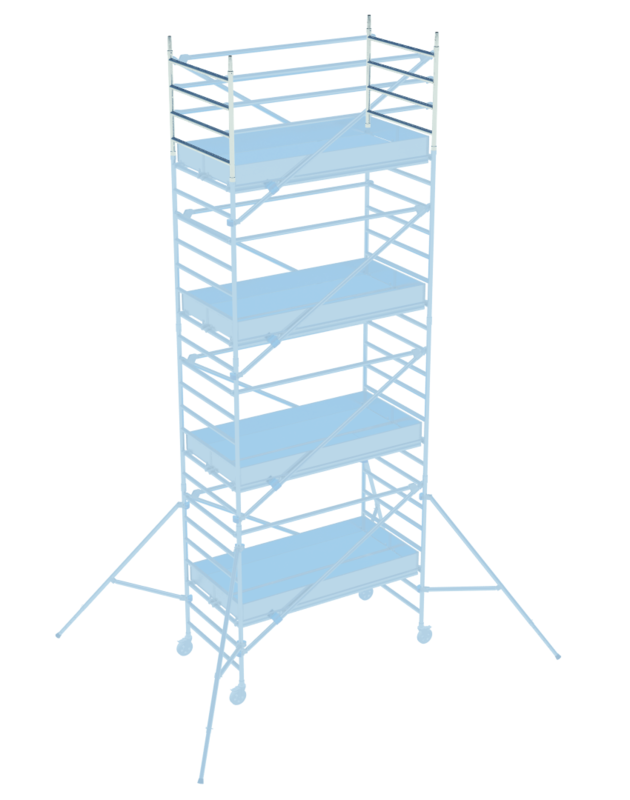 Stabilizers are required when the platform height of the mobile scaffold tower exceeds 2.5 meters. 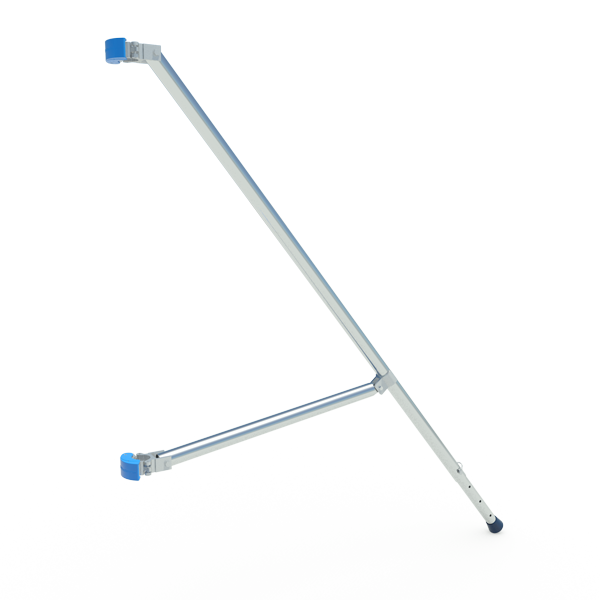 With the specially designed folding brace, they are easy to place without the use of tools. With the help of a locking pin they can be easily adjusted for the desired result. 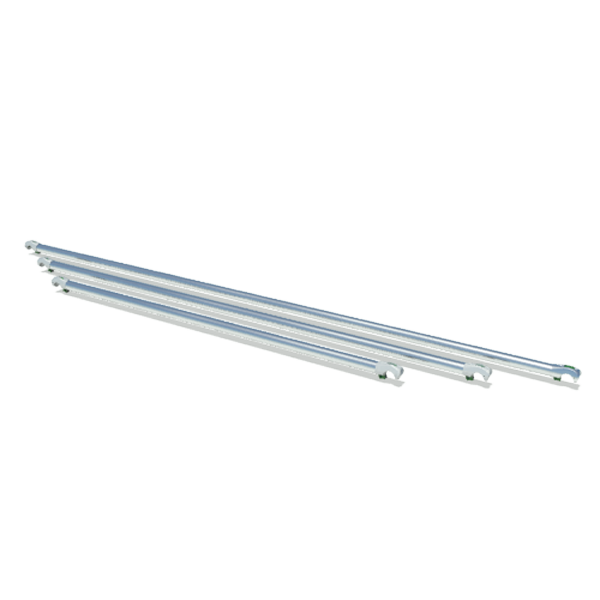 Thanks to the Advanced Guardrail, no more than four horizontal braces are required to complete a guardrail system around a working platform.